It was 5th year. Their O.W.L's had begun. Harry had always known a few things about him, but it just took a while to process within his mind to accept that they are true. He was gay.. And he loved his potions teacher, Professor Snape. However, what he didn't know, was that Snape had always admired him and would do anything to keep him safe, and for Harry to love him as much as Snape does. Will they find out their secrets..? //WARNING\\ Their will be slightly smutty scenes, I will make sure to put a warning incase you want to skip, however unless requested, I will not make a full smutty scene! Thank you for reading! After earning another detention with the potions professor, Harry gains some new appendages. He tries to hide them, but when they're found, he is then singled out and shunned. 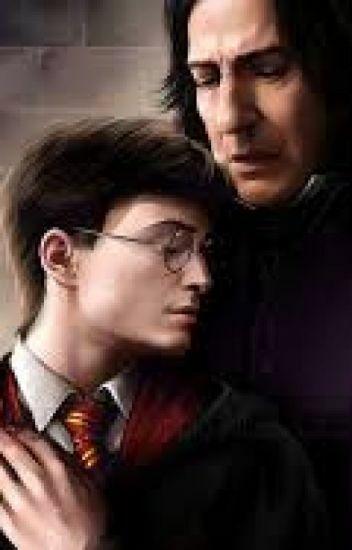 Snape has pitty on him, protecting him. What happens when admiration turns to love? Will Harry be normal again? Idek XD a story of true love. ∂σи'т ʝυ∂gє мє ιт ωαѕ α ρнαѕє! He doesn't feel sure about somethings and can't talk about very personal stuff.. This is a Snarry. How can two opposite men attract each other in order to conquer the world's evil? Read to find out. Shortly after the death of Voldemort, Hogwarts sent out letters to all the kids that didn't attend their seventh year, informing them that there was going to be a chance for them to return that following September, to have the chance to make up the lost year that was so wrongly taken from them, by Voldemort and all of his devestation.